The Mausoleum of the first Bulgarian Communist leader was demolished in 1999 after a decade of discussions about its fate. Today, there are plans to open a museum in its still existing underground facilities. The Mausoleum was built to hold the body of the founder of the Bulgarian Communist Party, following the Soviet example with Lenin’s body. 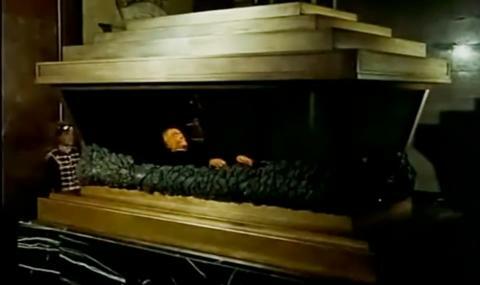 The remains of the old leader were embalmed and well kept, restored frequently, so that people could go and pay their respects there. The building had a complicated design with many underground facilities and ancillary rooms. It was built from scratch in only 6 days and was expensive to build and maintain. It was placed in the centre of the city, right across from the old Royal Palace, and a constant official guard was stationed in front of it. 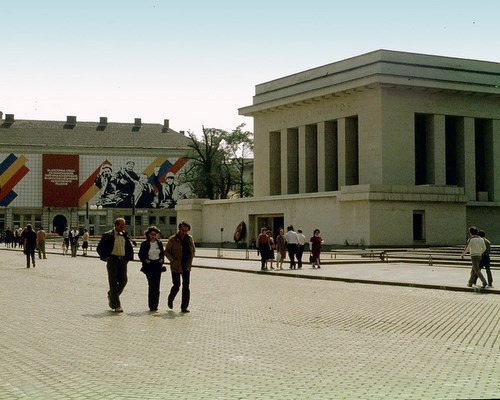 The Mausoleum became the focal point of socialist rituals in Sofia, and was a symbol of Socialism for the people. A lot of parades and demonstrations happened in front of it with Party leaders giving their speeches and greetings from its terrace. 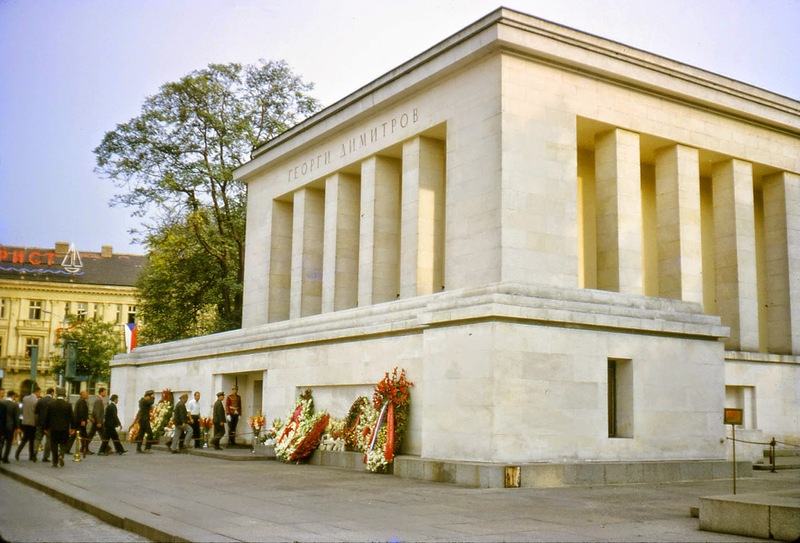 Naturally, after 1989, once Dimitrov’s body was removed and buried, the new government didn’t know what to do with the Mausoleum. The debates lasted some 10 years. Post-Socialism wanted to erase every memory of the previous regime: they’d already taken down all the monuments to Party leaders, but they wanted to remove all the monuments connected to the previous regime as well. 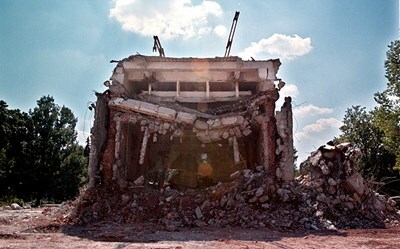 They wanted to declare their position of firm opposition to all things socialist, so they decided to get rid of the Mausoleum and to do so in a symbolic way, that is, to blow it up. It was a grand public event, but it didn’t go as planned. 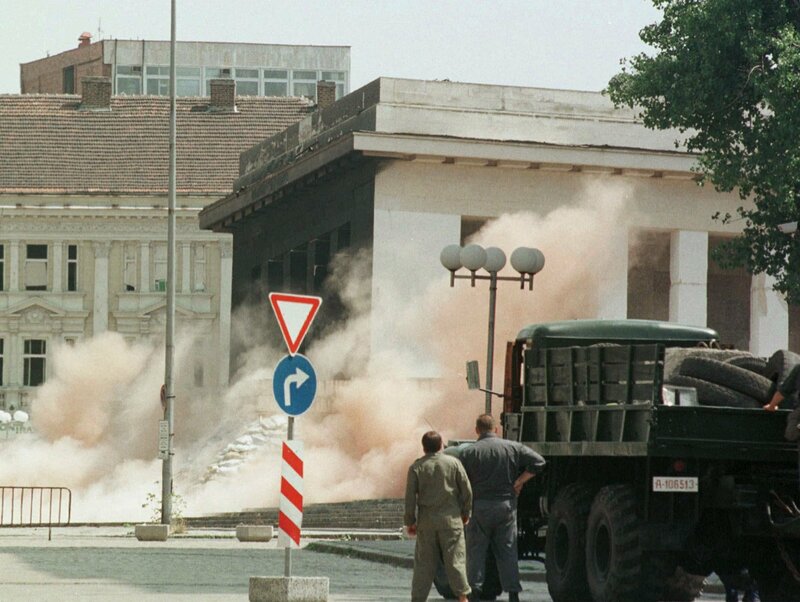 It took four detonations, followed by bulldozers, to pull it down in 6 days–as many as were needed to build it. Now, the place where the Mausoleum used to be is a public park where a lot of young people gather. Some of them haven’t seen it, but the memory of it haunts the place even today. Discussion over whether the demolition of the building was the right decision persists. 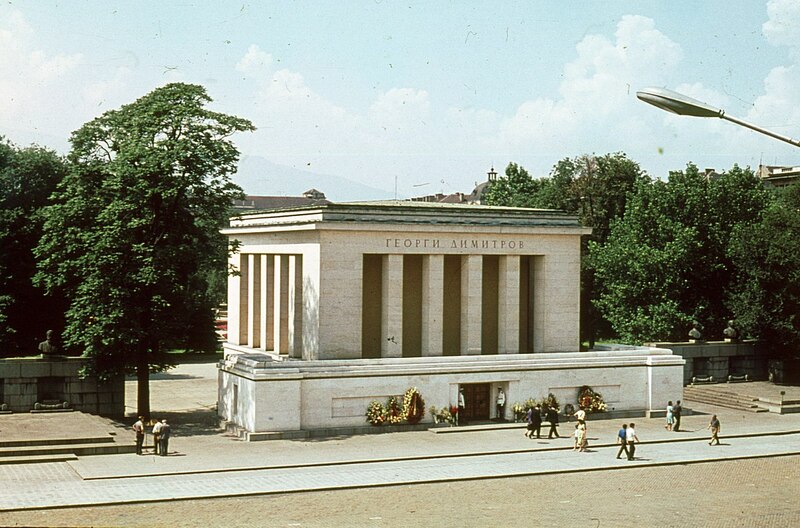 Now, there is a new project to make the still existing underground facilities of the Mausoleum into a museum. It was big news, when a team of journalists were taken down to take photos and document the state of the installations. It turned out that most of the equipment and the chambers were in better shape than expected. The project of the socialisation of the place should be finished in 2019.